Digging his career in the trance zone, he has done a remarkable change in his music style and has taken his career one step ahead. From taking club life to the whole new level to becoming a fashion designer, he has totally renewed himself. Although allot of controversy came along, he has never been bigger. Here are 20 facts about the so-called New-Tiesto. Fact #1: Tiesto found his sunrise? After the success with his in search of sunrise series, Tiesto thinks he needs a fresh new start. The in search of sunrise series was more of a concept, between beautiful Melodies and club hits. 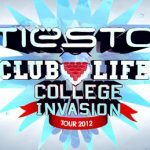 But for his new mix compilation series titled Club life, he brings what the sound of Tiesto is really all about. Three albums have already been released. Club life volume 1 Las Vegas, volume 2 Miami and volume 3 Stockholm. Each Volume is dedicated to a city that has inspired him through the year. Fact #2: Musical freedom. 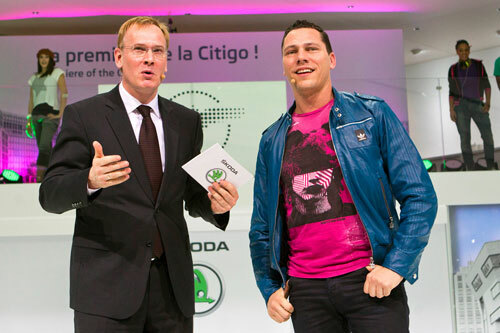 The end of the old Tiesto was the beginning of a new record label. After being with black hole records for such a long time he taught it was time for a change. His new label, musical freedom, as it is called, stands for freedom. For Tiesto, there is poorly a red line. As long as a track is good, and has something that makes it unique and stand out from others, it can be musical freedom approved. Fact #3: Making Trouse tracks? Although his trance days are gone, the influence is still there. His remix of Monkey Safari’s coming down, Marcel Wood’s advanced and Katy Perry’s E.T are perfect examples. But in more recent tracks, such as pair of dice or paradise, the trance influence is also in them. You can have a listen of his remix of Monkey Safari’s Coming down, on his soundcloud page. Fact #4: College invasion tour. If you think Tiesto is all about playing in stadiums and in the world’s top clubs, think again. With his fan base expanding, and wanting to reach the maximum of fans, the idea of a college invasion tour throughout the United States came along. 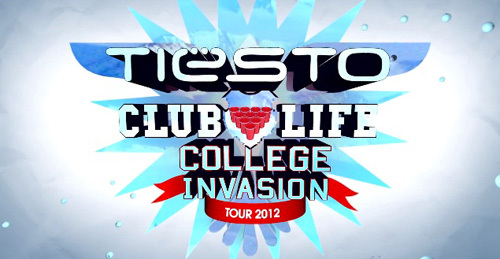 The first invasion tour took place in 2011, ending with the biggest DJ only event in U.S history. And the second invasion, took place in 2012. As for 2013, or 2014, nothing yet had been announced. Fact #5: Voted #4 on the damage top 100, but actually toped first place? Tiesto is not the type to be promoting himself for the dj mag 100 awards; he says he likes to keep the votes natural. 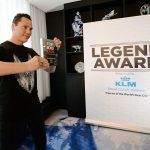 But that didn’t stop him from winning the djmag legend award. 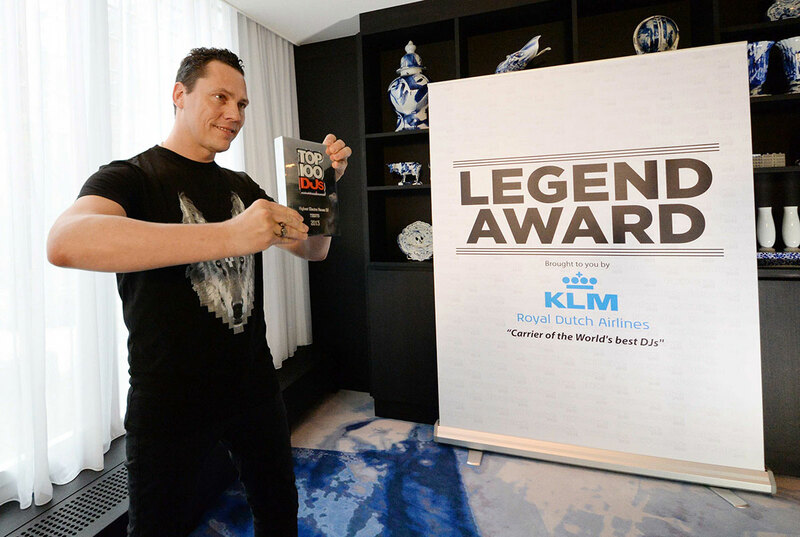 The award represents the most legendary DJ in the last 20 years. To thank everyone who supported him, he released a track with Disco Fries, called itrance. The track is available for a free download on his soundcloud page. Fact #6: Taking a new path in EDM? Tiesto has been taking his club life podcast to a whole new level. Never putting limits, he brings us club life after hours. Where he spins some of the finest deep house at the moment. Also taking it to his gigs, he has been caught dropping some deep house at a few of his shows, wanting to experiment some new stuff. Fact #7: Unexpected collaborations. Leaving his trance family to join the House community, you will say, with which artist is he working with now? In 2009, a song with nelly Furtado was included in his album Kaleidoscope, along with other tracks, with artists like, Tegan and Sara, The Cary Brothers, Calvin Harris, and much more. Although, the most unexpected collaboration was in 2011, with DIplo. The track was called C’mon. Fact #8: Becoming a fashion designer? Besides bringing us unexpected collaborations, he surprises us by revealing his fashion side. 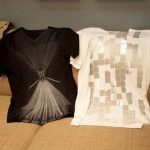 He launched a shirt collection with Emporio Armani for both boys and girls under the title CLVB LIFE. But that didn’t stop him there. Being good friends with Paul Marciano, he launched 2 capsules with Guess, under the label NYT LYF. A Tiesto-Guess limited edition watch was also included. Fact #9: Kiss from the past, or bringing the past? Under his alias Allure, Tiesto has released an album titled Kiss from the past. 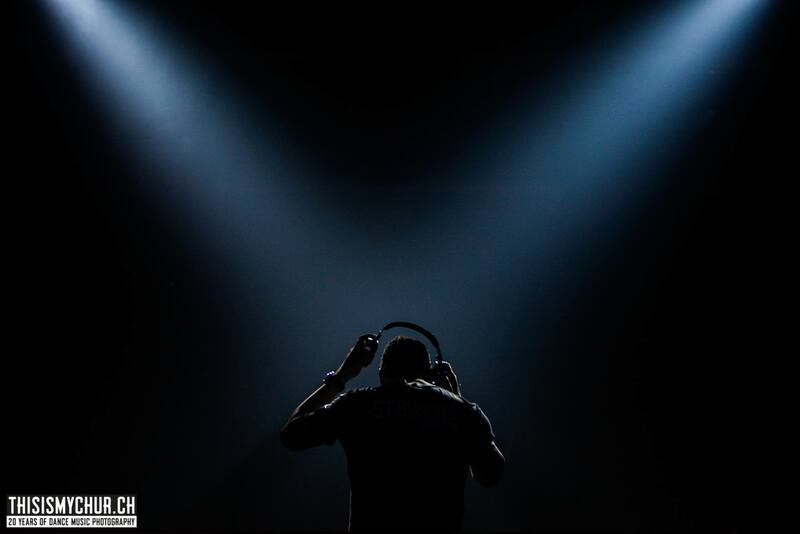 Containing Collabs with artists such as Emma Hewitt, Henrik B , Jes… He brings us a full trance album. The first track that premiered from the album, was his collaboration with Jes, show me the way. He may have left his roots, but didn’t forget them. Under is his track with Jes, Show me the way. 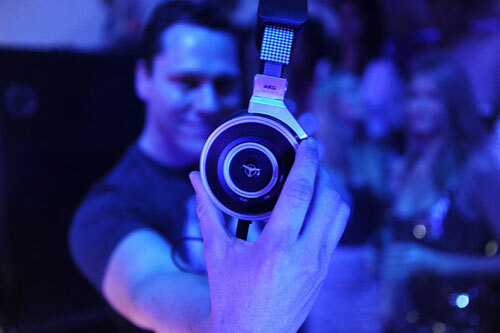 Fact #10: Tiesto releases range of headphones with AKG. Walking in the DJ booth with style is minimal for Tiesto. He teamed up with AKG to bring a range of stylish headphones. It’s comprised of 3 distinct models, designed by the legend himself. The range includes the k67, k167 and the k267. For people who may not be familiar with the brand, AKG is well known for making high quality and durable headsets. Fact #11: One of he riches DJ’s in the world? Placed in the middle between Calvin Harris and David Guetta, he is the second most paid DJ in the world. Making 32 million$ in 2013. Calvin Harris toping him, with a nice 46million$, and David beneath him, with a good 30million$. We can see that the hard work he put on his music, and fashion really paid off. Fact #12: Exploring no limits? Exploring beyond limits with Acer, he makes his appearance in a commercial for the Acer Aspire P3. The commercial shows us Vernon (Tiesto’s assistant in the commercial) using the Aspire P3 to organize his boss’s schedule and it’s capability of it, being used for Djing. The commercial is set in a humoristic way. The Acer Aspire P3 is now available worldwide. Fact #13: V.I.P trip into the king’s life. Always wanted to have a peek to see how it is to be the world’s biggest DJ? 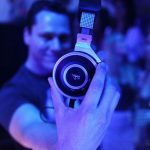 With his new in the booth mini series, Tiesto allows us to have access with him backstage, inside the booth and all over the world. Each episode is 7 to 10 minutes long. With season 2 being recently launched, he shows us peeks on his upcoming album and some very cool stuff. Season 2, was supported by Acer, Intel and Believe Entertainment. Fact #14: Greater Than tour, or Greater Than a tour? He teams up with Calvin Harris, to bring us Greater Than tour. The tour will start December 18 and end the 22nd. The tour will last five days in a row, each day in a different city. Starting from Belfast, then Dublin, London, Manchester and the grand final in Glasgow. The tour will have supported acts by Pete Tong, GTA and Danny Avilla. With all the shows being sold out, we can expect something big and definitely memorable. Fact #15: Diplo made a new friend? Mad decent boss, Diplo, has listed Tiesto to play a special 2-hour set on Diplo and friends. Either if diplo actually has friends or not, one thing is for sure, Tiesto totally smashed it. Although Tiesto is not the typical guest to appear on diplo and friends, Diplo cound’t be any happier to have him on the show. And to make it even more special, Tiesto had decided to play tracks he wouldn’t necessarily play in his sets. The show aired September 22nd on BBC radio 1xtra from 1 till 3 a.m. Fact #16: For Tiesto it isn’t about how big you are? The new Tiesto isn’t looking to make tracks with big names, but with rather big talents. Some of his recent tracks, such as paradise, take love, run and shocker, and back to the acid, were done with upcoming artists. The names go from Moti, to DJ Punish, and many other rising stars. For Tiesto, it’s not the name that matters, but the creativity. Fact #17: The world’s best DJ? Tiesto hasn’t been no1 on the DJmag top 100 since 2004. Although always maintaining himself in the top 3, untill recently, he was crowned world best DJ, by Rolling Stones magazine, calling him the U2-size draw in Europe. Under him, came along, Swedish House Mafia at second place and Avicii at third place. 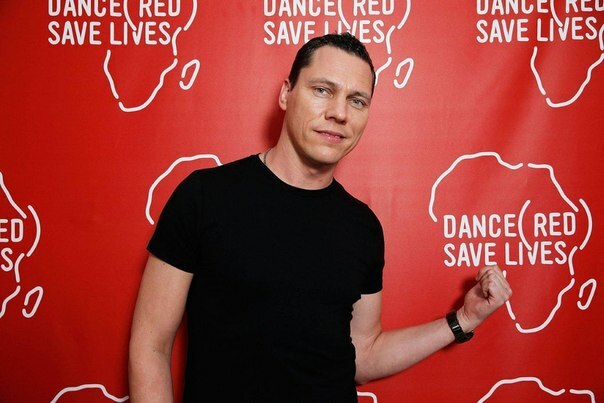 Fact #18: Tiesto partners Red. Tiesto has always been a down to earth person. And she shows it by teaming up with Red, to have an aids free generation in Africa by 2015. He is still the ambassador of Dance4life, but this time he decides to go bigger. Red is a well for preventing aids in Africa, and is supported by big names. 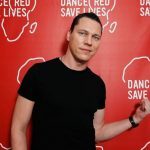 He releases an album called Dance Red, Save Lives. A second volume of the album has also been released. And all proceeds go to charity. In the first volume, a track between U2 and Tiesto was included. Fact #19: With his new album on the way, he shows us two tracks that are to be included in the album. The first one, with very catchy vocals, Footprints, was premiered worldwide during his set at tomorrowworld. The second one, titled Red Lights premiered for the first time on Pete Tong’s BBC Radio 1. Fact #20: Playing at the new Ibiza? After playing in Ibiza for so many years during the summer, he thought it was time to change. With Dance music booming in the U.S, and Las Vegas becoming the capital of Electronic music in the America, he signs a contract to have his own residency at the Hakkasan Nightclub till 2015. He says; Las Vegas is the new Ibiza. But he isn’t wrong saying so, Vegas has been having some of the biggest names in EDM playing there with their own residencies.